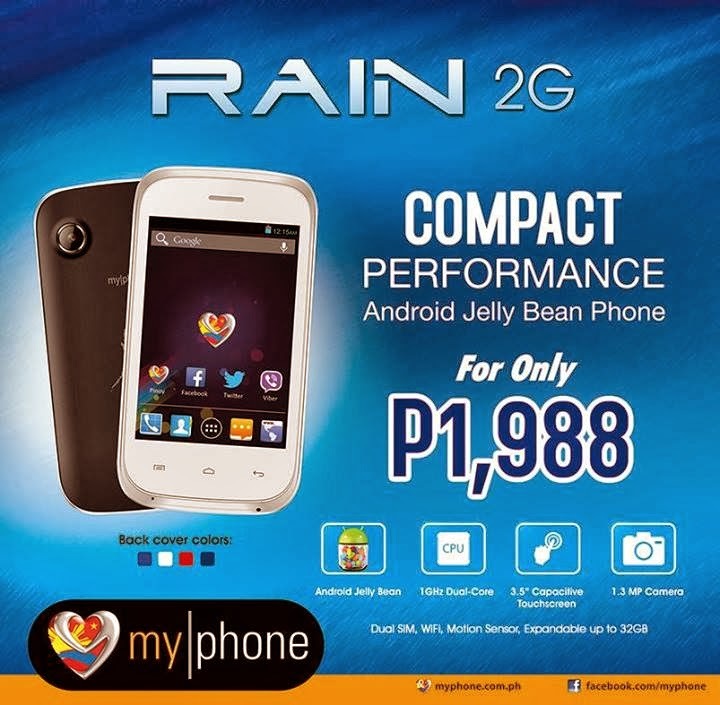 You can now buy the latest and affordable Agua Rain 2G Android phone at your nearest MyPhone kiosks and stores for the price of 1988 pesos. Guess what you can get on this smartphone guys, it runs on Android 4.2.2 Jellybean OS giving you the fast and fluid UI experience. Another thing also is that you can enjoy browsing and downloading thousands of apps and games at Google Play Store. 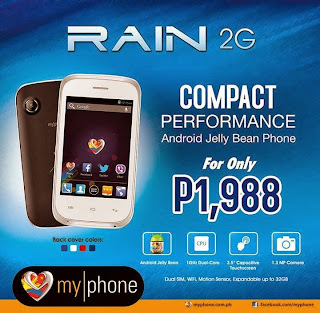 MyPhone Rain 2G is equipped with a 1GHz dual core processor to give a better performance paired with its OS. The 256MB RAM is enough to handle basic phone operation and 512MB internal storage also will be your reserve space as it is capable of up 32GB external microSD card. MyPhone Rain 2G is another budget friendly phone you can get to explore Android OS. It gives you effective performance at less cost. it doesn't have a front facing camera..
the main camera is only 1.3 mp..
you shared wrong information !! !